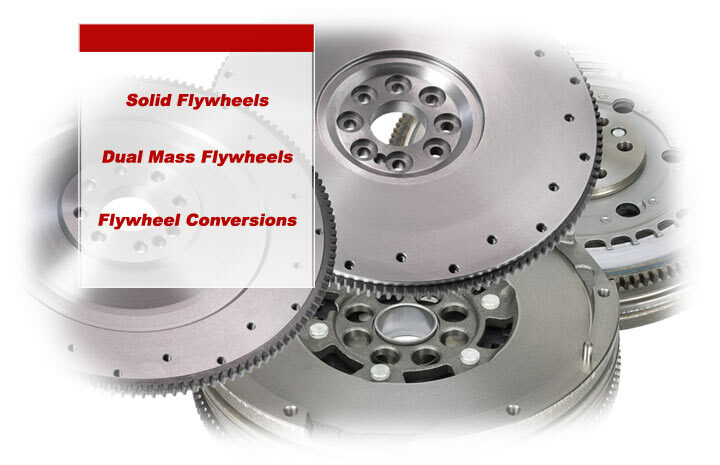 Click to Enlarge Each new flywheel is engineered and manufactured to O.E.M. specifications, using premium grade iron, new ring gears, and new dowel pins. To reduce vibration and maximize performance, each unit is dynamically balanced, backed by our comprehensive warranty, and priced competitively. 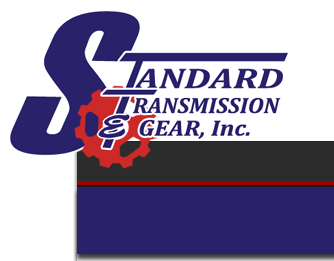 Let Standard Transmission & Gear save you hundreds of dollars on your DMF purchase. Compare our wholesale pricing to ANY dealership, retailer, or other wholesaler around. Then order your Dual Mass Flywheel from us and pocket your savings. A dual-mass flywheel (DMF) serves two functions. The primary function is to store energy from each piston’s firing pulse, and then send it to the crankshaft so that it continues smoothly rotating through the next piston stroke. 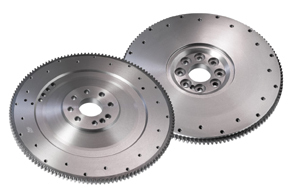 The secondary function is to dampen damaging torsional spikes caused by engine vibration. 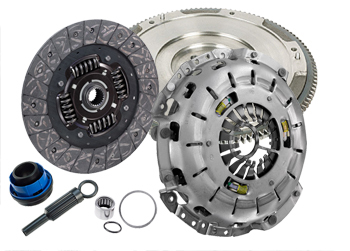 If you're frustrated with your Dual Mass Flywheel, convert to a solid flywheel and clutch kit! These Flywheel and Clutch Kits contain all necessary hardware and instructions to convert from a Dual Mass Flywheel to a Solid Flywheel. The benefits for this conversion are as follows: Never have to guess if it's your flywheel that's slipping again. 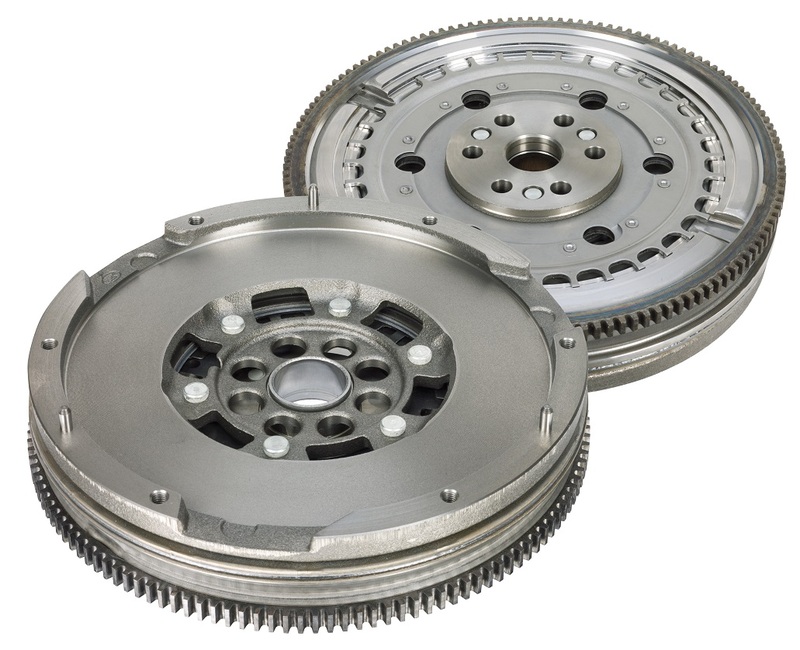 The cost of the flywheel and clutch set is comparable to the price of the Dual Mass Flywheel alone. What is the DMF's function? It is designed to isolate torsional crankshaft spikes created by diesel engines with high compression ratios. 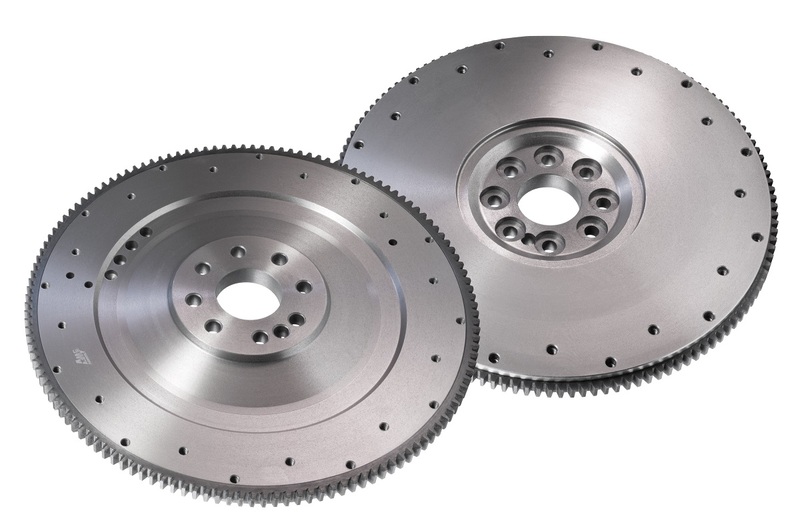 By separating the mass of the flywheel between the diesel engines and the transmission, torsional spikes can be isolated, eliminating potential damage to the transmission gear teeth. The damper springs that are visible on the engine side of DMF are designed to dampen heavy torsional spikes that occur when the diesel engine's torsional frequency matches the torsional frequency of the transmission. When torsional frequencies match (have the same amplitude), severe damage can occur to the transmission if not isolated. DMF's isolate the torsional frequency match between the engine and transmission to an r.p.m. range below the operating range of the engine (usually between 200-400 r.p.m.). These damper springs only work hard when the engine passes through 200-400 r.p.m. at vehicle start up and shut down. DMF damper springs and/or damper springs nylon retainers usually fall because the diesel engine is not running correctly. Bad fuel injectors, worn pistol rings, bad valves, etc, will change the resonant frequency of the engine. A change in the resonant frequency of the engine can force the torsional frequency match between the engine and DMF to fall within the operating range of the engine. This forces the damper springs to work continuously, resulting in failure. The friction ring located between the inner and outer flywheel is designed to allow the inner and outer flywheel to slip. This feature saves the transmission from damage when torque loads exceed the vehicle rating of the transmission. The friction ring will wear out if excessive torque loads are continuously applied. Loading the vehicle beyond the rated load capacity is often the root cause of friction ring failures in DMF's. A sealed double row center ball bearing carries the load between the inner and outer halves of the DMF. The leading cause of center bearing failure is often related to out of balance vibration caused by not aligning the pressure plate with the DMF dowel pins. The center bearing may also fall if the clutch pilot bearing is destroyed by a worn transmission input shaft (see Pilot Bearing) or if the rated load/towing capacity of the vehicle is exceeded. The pilot bearing supplied with most DMF's is a caged needle roller bearing. If it fails, the transmission input shaft must be repaired or replaced. If the input shaft is not repaired correctly or replaced, the lack of input shaft support will result in DMF center bearing failure. Symptom Damper springs and/or damper springs nylon spacers are failing on the engine side of the DMF after short service life. Solution Service diesel engine. Correct bad fuel injectors, poor engine compression, etc. Make sure engine idle is set to factory specifications. IMPORTANT: Changing the turbo boost will change the torsional frequency of the engine which can damage the DMF. Symptom Clutch slips after short service life. Partially insert two pressure plate bolts on opposite sides of the DMF's pressure plate bolt holes. Block the engine so that it cannot turn. Place a pry bar between the two pressure plate bolts. Try and rotate the outer portion of the DMF relative to the inner portion of the DMF. It does not matter if you pry clockwise of counter clockwise. NOTE: All DMF's have eight to eleven degrees of free rotational movement before the friction ring engages. You are checking for movement after initial free play. If the outer half of the DMF will rotate with hand pressure on the pry bar, the DMF friction ring is worn out. The DMF will slip and must be replaced. Symptom DMF center bearing fails after short service life. Solution Check the DMF for missing dowel pins. Failure to use the O.E.M. dowel pins will set up a vibration that will destroy the center bearing. Check the DMF friction surface for heat cracks and/or hot spots. Check the pressure plate for hot spots and the disc friction material for friction material separation. Both are signs that the truck is being used beyond it's rated capacity and/or the clutch is not releasing properly due to a worn or faulty hydraulic clutch release system. The DMF is designed to protect the transmission. It is also designed as a wear component and will fail if O.E.M. vehicle capacity is ignored.